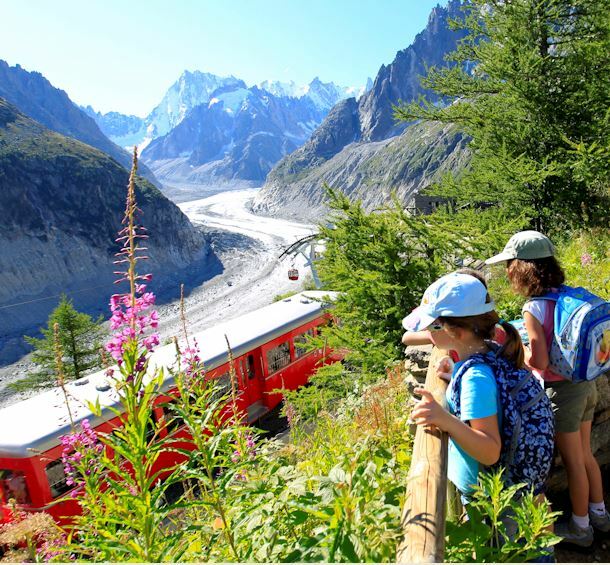 The Chamonix valley is situated in the north-westerly part of the Alps, just 15 km from the Swiss border via the Col des Montets and 15 km from Italy via the Mont-Blanc tunnel. The natural border, where these three countries converge, lies at 3820 meters on the summit Mont Dolent. This valley, comprising Servoz, Les Houches, Chamonix, Argentière and Vallorcine, also contains Mont Blanc, Western Europe’s highest peak at 4,810.45m. The altitude of Chamonix Mont Blanc Valley varies between 758 and 4,810 metres. The Valley is greatly appreciated by enthusiasts of mountaineering and mountain sports in general. But, with its diversity of villages and its natural assets, it offers numerous activities for a wide range of people, from the family to the adventurer and people who want leisure and relaxation to those who are keen on discovering new things and new experiences. Chamonix and its valley are dominated by the mont Blanc chain to the south and the Aiguilles Rouges (red peaks) to the north. The valley is of glacial origin and measures 17 km, from the Col des Montets at the northernmost point to the Taconnaz torrent. The town centre is situated at an altitude of 1035 metres, the highest village at the top of the valley is Le Tour (1462 metres). The Arve, the main river of the upper Savoy, takes its source at the Col de Balme and flows a distance of 107 km through the Chamonix valley and on down to Geneva where it joins the Rhône. Chamonix Mont Blanc Valley has a resident population of 13,816. The Valley has a mountain climate. Winter is cold with snowfall, contrasting with a summer that is generally pleasant, with temperatures regularly reaching 30°C. © Météo France. Meteo France forbids any copying of this information.